Seabourn has announced a series of voyages aboard Seabourn Pride dedicated to celebrating the ship’s 25-year history with the company. The ship will be transferred to its new owners in Europe in the spring of 2014. Seabourn has created a series of Caribbean voyages incorporating signature Seabourn events such as the iconic “Caviar in the Surf” beach barbecue and the water sports Marina Day that pioneered a new style of luxury small-ship cruising when Seabourn Pride was launched. 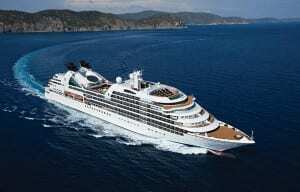 The final voyage under the Seabourn banner will be a transatlantic voyage departing Fort Lauderdale, Florida, on March 30, 2014. The line has designated 15 cruises from November 11, 2013 through the transatlantic crossing as the ship’s “Farewell Season” and has brought back many of its most veteran staff members, and other alumni who served on board over the years. The company has also gathered recipes from the past, including the popular “Presidential Dinners” that recreate ceremonial state dinners served in the U.S. White House. Special onboard activities and themed events will be featured on board. For Seabourn Pride‘s dedicated followers, one key element of the celebration is the creation of “Roll Calls” for each of the Farewell Season voyages on Seabourn’s Facebook page, where guests can join to see who else will be on their departure, and share news, memories and plans for their upcoming cruises.